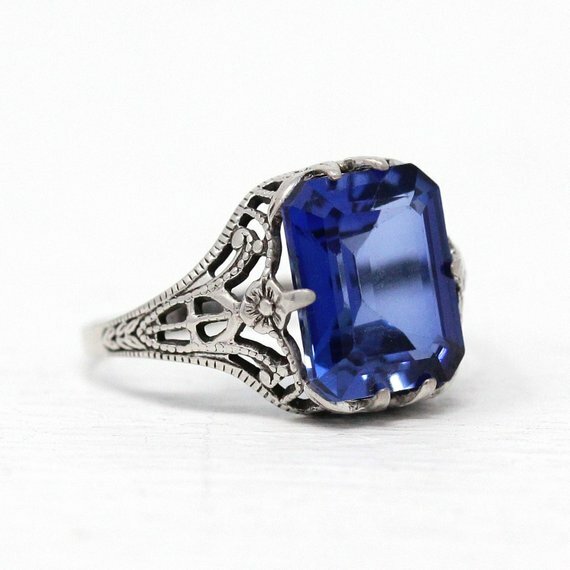 Jewelry Education, Photoshoots, and Antique Hunting Adventures! At Maejean Vintage we love the holidays, but we also know what it is like to get stressed over finding the perfect gift for those special people in your life. We’ve created a holiday shopping guide to help inspire you this giving season. To top it off, we’re running our biggest sale ever from Black Friday to Cyber Monday. 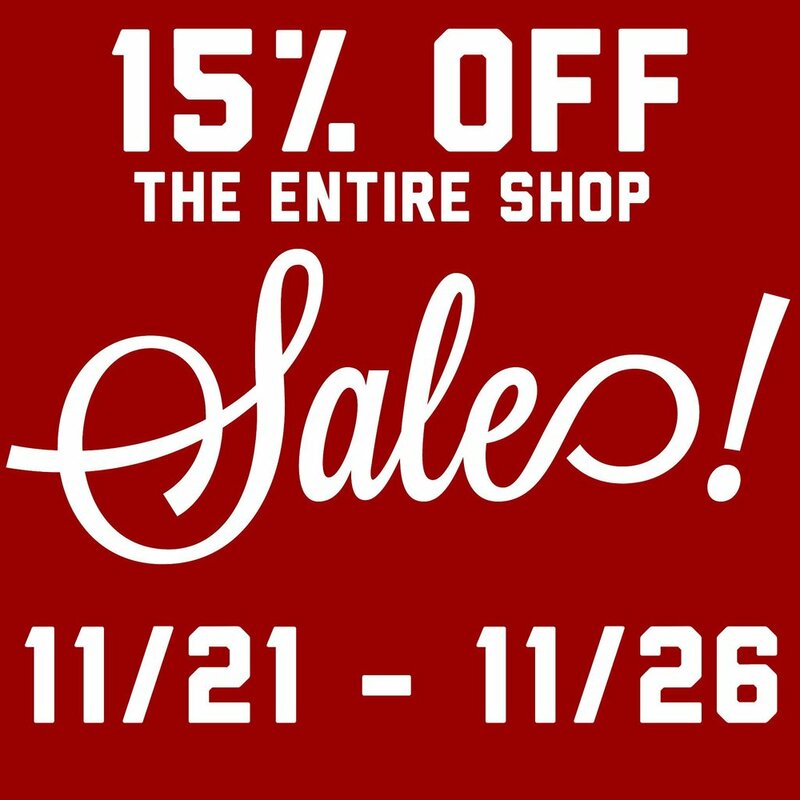 Our entire shop is 15% off through Cyber Monday (November 26th). For the entire holiday season, we are offering free First Class shipping on all orders within the U.S. Additionally, each purchase automatically includes complimentary gift wrapping. 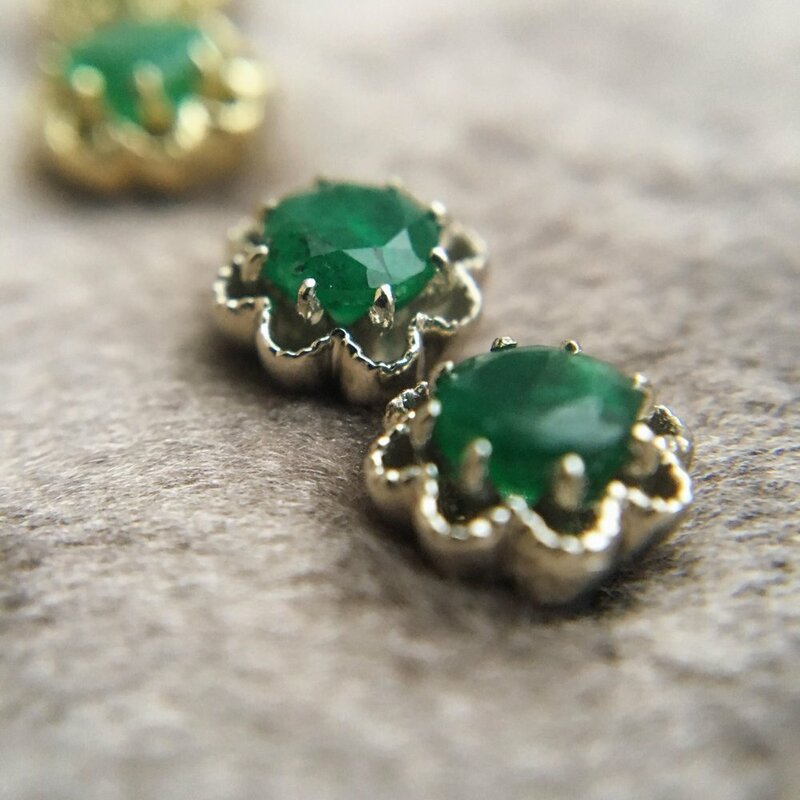 These beauties are available in 10k white and yellow gold, and feature the following genuine gemstones: garnet (January), amethyst (February), aquamarine (March), white zircon (April), emerald (May), pearl (June), ruby (July), peridot (August), sapphire (September), opal (October), citrine (November), turquoise (December). The classic, timeless pieces are at the absolute top of our holiday gift guide for 2018. Each pair include a luxurious red MJV logo box, ready for gift-giving. Perfect for the old & the young to cherished for a lifetime! 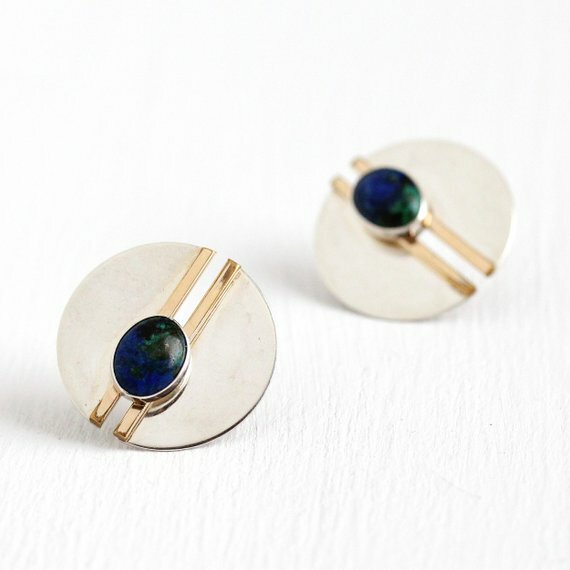 Browse Our MJV Birthstone Earring Collection here. Morganite & aquamarine’s have become a huge trend in the jewelry industry and we can absolutely see why! If you’re thinking of taking the plunge with your significant other anytime soon, and you’re looking for a classic engagement ring design, but an eye catching alternative stone...we’ve got you covered. Here are some of our favorite morganite and aquamarine pieces that we currently have. Use your arrow keys to go through the image carousel. 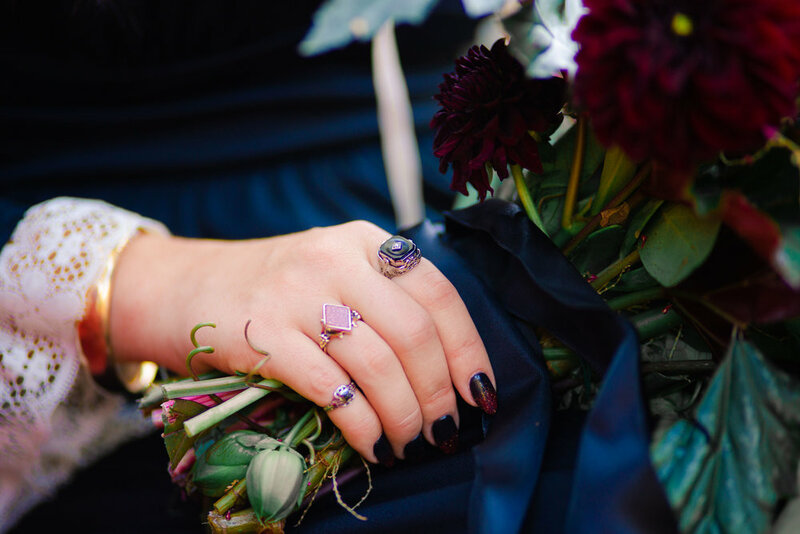 Click here to shop all of our alternative engagement rings, including various other stones. 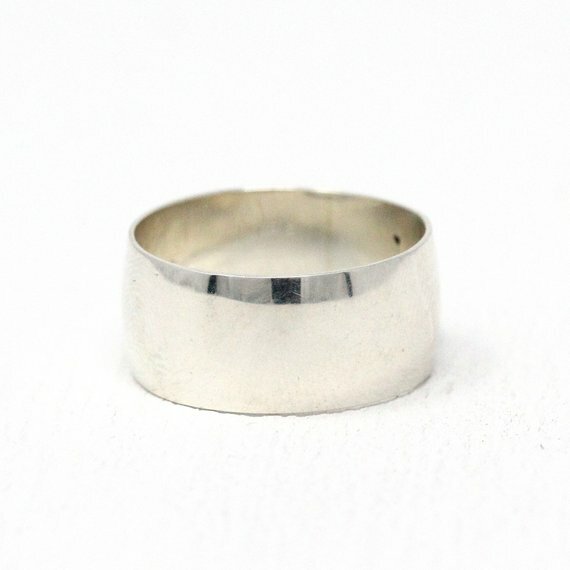 If you’re looking to get someone special a sentimental gift that’ll last a lifetime, but you’re on a budget, look no further than Maejean Vintage’s silver collection! 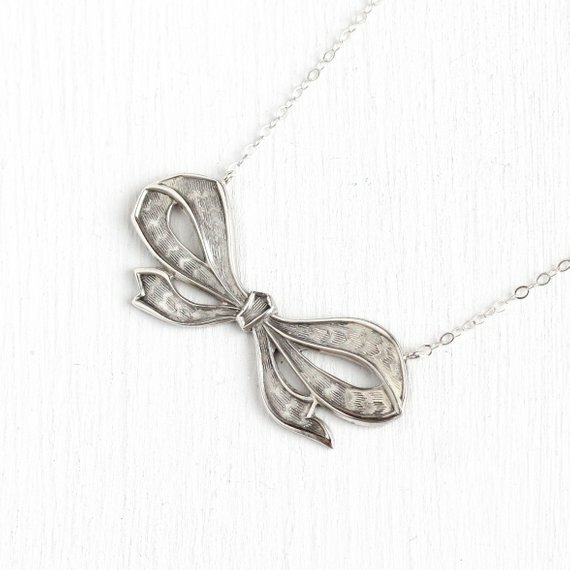 Our silver pieces vary in price from $30 to $250 USD. If you search our Etsy site for “Conversion Necklace” you’ll see that we have 136 pieces available. What’s really cool about that is the realization that we have taken 136 vintage and antique stick pins/brooches and given them a fresh breath of life by making them into modern day necklaces! We promise there is something for everyone! Something with seed pearls? You bet! Filigree fan? Sure thing! Enamel enthusiast? Yeah! Dog lover? Yep! Gemstone geek? Absolutely! Even the bird lover in your life? Yep! Prices range from $70 to $725 USD. Use your left and right arrow keys to browse through the photo carousel below to get an idea of our unique vintage and antique conversion necklaces. Vintage & antique jewelry has already stood the test of time and all of our pieces are ready to be cherished for yet another lifetime! We’re confident we’ve got something in stock for every person within every budget. 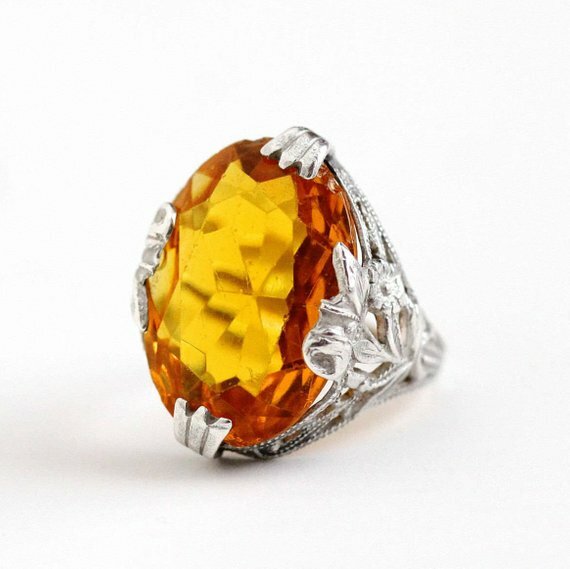 And as a reminder, we do offer resizing services and have free and convenient layaway plans! 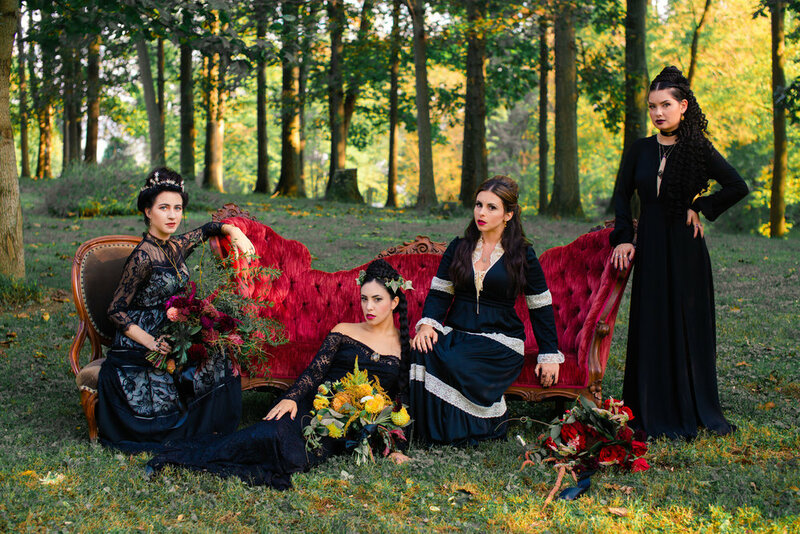 We’re so excited to share something we’ve been dreaming about for awhile -- a slightly spooky Victorian photoshoot! 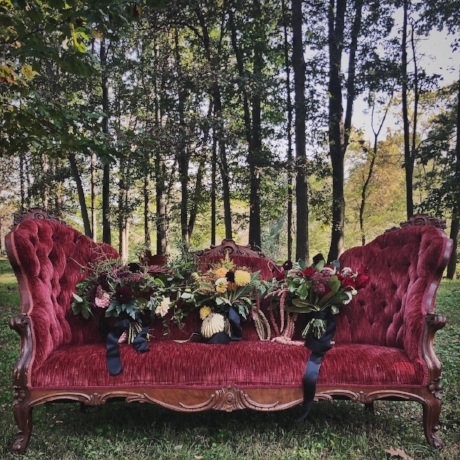 We had talked about the idea loosely for awhile, but when we came across a late 1800’s Victorian sofa on Craigslist in late summer, we knew we had to get the ball rolling. We teamed up with our longtime friend Julie, of Julie Liz Photography, to make this dream come true. On an unseasonably warm October day we met at the office to get ready. Another long time friend, Cheyenne, owner of Loose Ends salon (coming in January 2019), transformed us into another era. 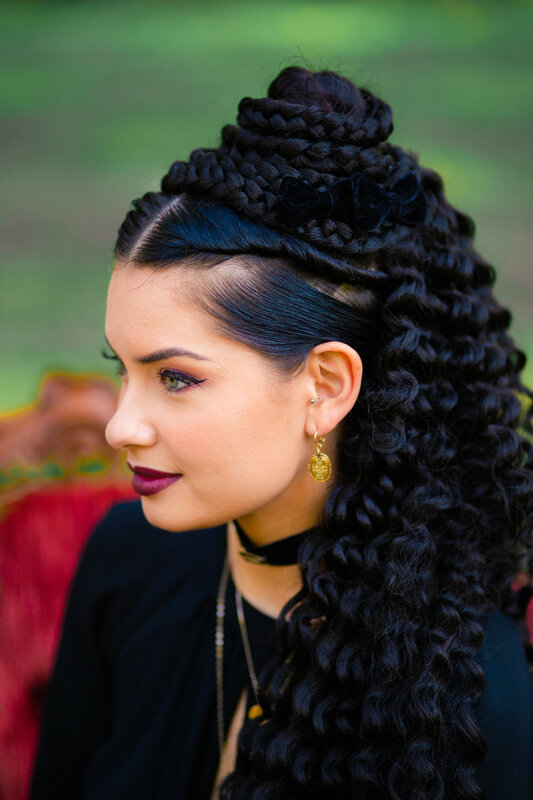 It’s been two weeks and we’re still talking about by how incredible our hair looked. 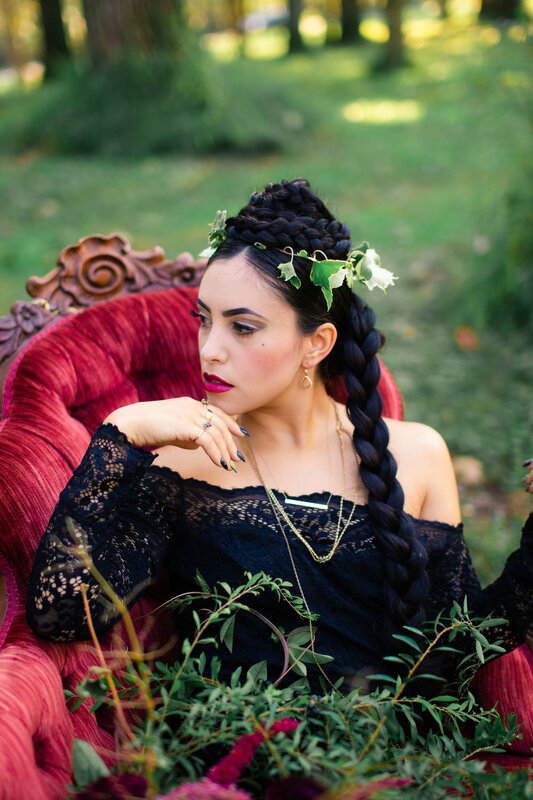 After getting decked out in our favorite MJV Victorian Era and Edwardian Era pieces, we headed to a wooded area with our couch and began shooting. Our heavy, black dresses and the unusual heat certainly made us appreciate our ancestors who lived like this daily with no refuge of air conditioning to be found. The icing on the cake were the flowers by a local florist and friend, Dalanna. She spent time researching bouquet styles and really embraced our vision. 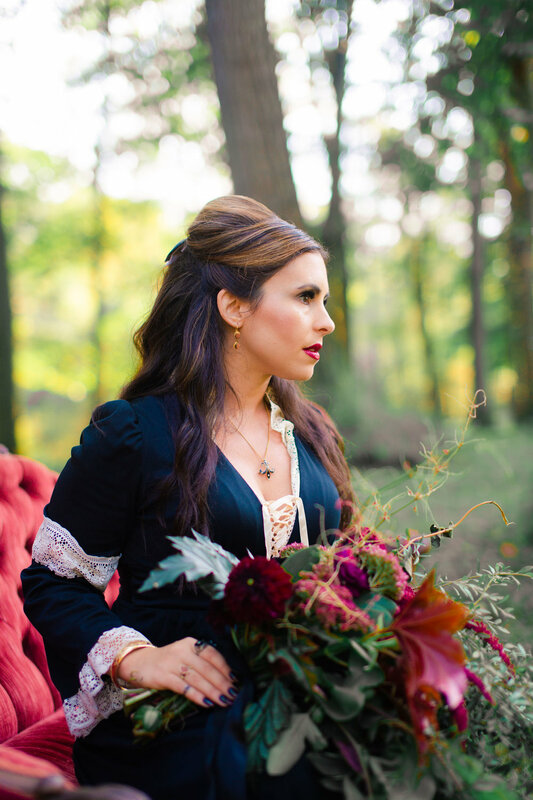 She created three stunning bouquets for us with flora she foraged or grew in her yard! We were seriously impressed. We’re so thankful to be surrounded by so many talented, and willing, creatives. This is one of our favorite shoots we’ve done and at this point don’t know we’ll top it! Click through through the photo gallery to see all of the amazing pictures Julie took!